As professionals working with asylum seekers and refugees meet numbers of difficulties on daily basis, and considering particular vulnerability of unaccompanied minors who belong to a specific group due to their age and needs, it is necessary to find adequate solutions as soon as possible, as well as to respond swiftly to existing challenges. 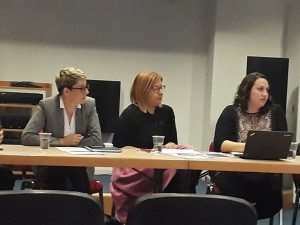 In order to reflect on the current situation, a round-table “Alternative types of care for unaccompanied minors” was held on Thursday, 21st of December 2017 in the facilities of Zagreb City Libraries on Ante Starčević Square 4, organized by Rehabilitation Center for Stress and Trauma. The main objective of the round-table was to critically discuss the existing practice of accommodation and care for unaccompanied minors, as well as to consider the alternative options provided by Protocol on Proceedings Regarding Children Separated from Their Parents – third country nationals. Thus, the round-table was particularly directed at social workers and other professionals of the social welfare centers and social care homes, representatives of NGOs who work in the field of protection and support for migrants and refugees, especially children, but also included the interested public. Marina Tomić Latinac, the coordinator of UNICEF children protection programme, Domagoj Kronstein, MSW and representative of Welfare Centre Novi Zagreb, Iva Prpić, MSW and representative of City Office for Social Protection and Persons with Disabilities of City of Zagreb, Martina Brajdić Manojlović, Prof. Soc. 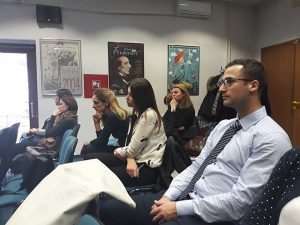 Pedagogy and principal of Institution for Education of Children and Juveniles Karlovac, and the vice-principal Duško Jaković, psy.M., were the panelists, while Dragana Knezić, psy.M., Rehabilitation Center for Stress and Trauma, moderated the discussion. As Croatia is merely a transit country for most of the refugees, Tomić Latinac estimates that during 2017 around 150 unaccompanied minors went through its territory, while only 33 of them remained in the country. However, in spite of the relatively small number of children that stayed, inadequacy of current solution regarding their accommodation was emphasized by every panelist. Furthermore, despite the process of de-institutionalization that should have been carried out for years, majority of the minors is accommodated in institutions for children and youth with behavioral problems. Additional pressure posed on professionals of those institutions, which were not provided with additional resources they could use to cope with challenges and meet the needs of the unaccompanied children, should not be disregarded. As representatives of one of institutions of this type, Institution for Education of Children and Juveniles Karlovac, Brajdić Manojlović and Jaković, have emphasized negative effects this type of accommodation on unaccompanied children, who rapidly take over negative behavioral patterns from the others. Majority of participants agreed that the most appropriate forms of care for unaccompanied children and youth would be youth transit housing units and, foremost, foster families, simultaneously not disregarding specific obstacles that we may encounter — from language barriers, dietary and cultural differences, to issues of determining identity and age. However, it was highlighted that culture and specific diet are only a secondary needs of a child, while their primary need is the need for a family. Furthermore, it will be necessary, besides a high quality selection of candidates, to ensure additional educations and support for foster parents of unaccompanied youth. Furthermore, the Unicef representative argues that so far a significant oversight has been made by insufficiently including parents of unaccompanied minors who, despite not being physically present, still make impact on the decisions their children make. Moreover, majority of the panelists have brought up issues of the role of special guardians. Namely, there is a serious lack of special guardians for unaccompanied minors, extended time period between electing the second guardian due to changes in local authority is not rare, and very often it remains only an exclusively formal relationship between the guardian and the child due to what the child has minimal contact with his special guardian. It was concluded that current concept of special guardian is unsatisfying and that an institution of full guardianship should be introduced concerning the opus of obligations guardianship for unaccompanied minors encompasses. Significant problems in obtaining their right to health protection were stressed. It is a problem that has been encountered by most of the asylum seekers and persons under international protection that, unfortunately, children encounter as well. Vast majority of participants have expressed their dissatisfaction as this problem persists and there is a clear lack of willpower for solving this problem. 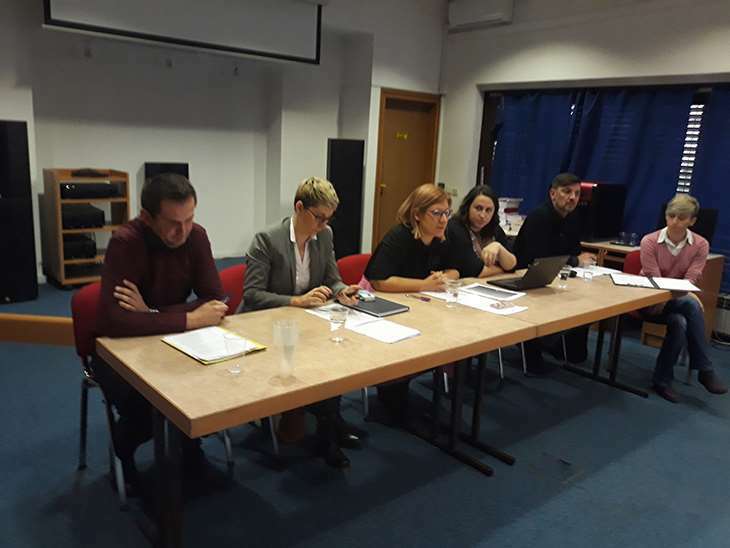 The round-table was organized within “Long Way Home: prevention of institutionalization of unaccompanied minors” project, funded by City of Zagreb. Hereby we thank to all of our panelists and other participants of the round-table, as well as to City Libraries Zagreb for providing the round-table facilities.